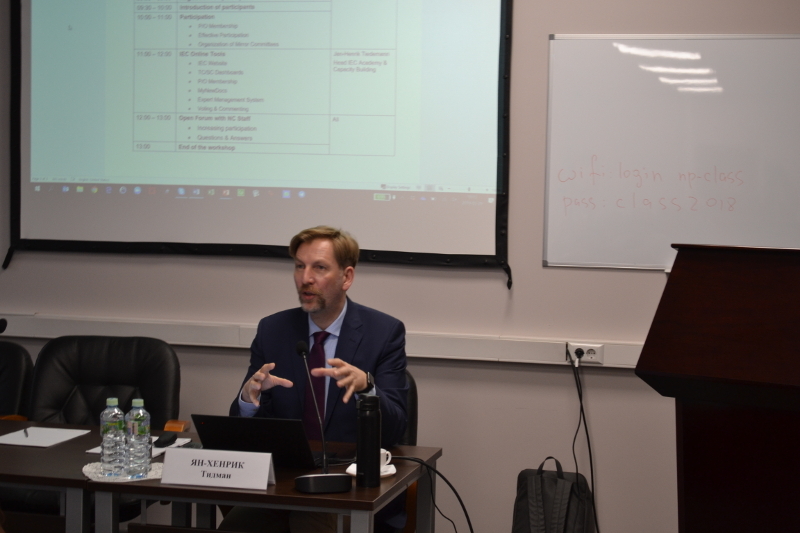 Round Table of the IEC Academy was held on March 29, 2019 for the employees of National Committee in terms of participation of the Russian Federation in the International Electrotechnical Commission (IEC). This event took place in STANDARTINFORM. Head of the Department of Administration and External Relations of GOST R Maria Pishchulina, First Deputy Director General of STANDARTINFORM Aleksandr Barkov took part in this event. Head of the IEC Academy Jan-Henrik Tiedemann performed as the main speaker of the workshop. Participants of the workshop discussed series of issues such as making translations of IEC materials into Russian language, participation of Russian experts in writing of scientific articles, involvement of developing countries into IEC activities, opportunity of organization of practical training for Russian specialists of technical committees in IEC and other matters. Jan-Henrik Tiedemann highlighted program for young specialists who were willing to start their career in IEC. 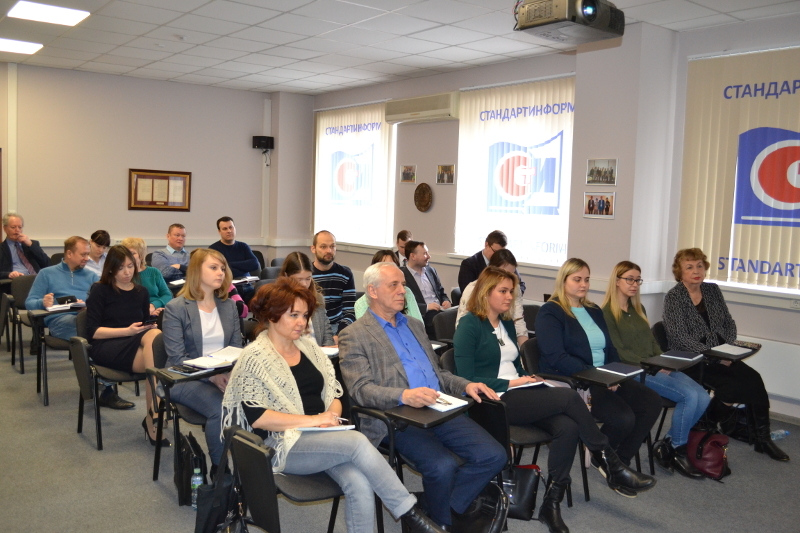 This program provided unique opportunity to learn more about one of the leading international organizations on standardization and take active part in works on IEC projects, cooperate with IEC experts and official staff on various fields of activities. 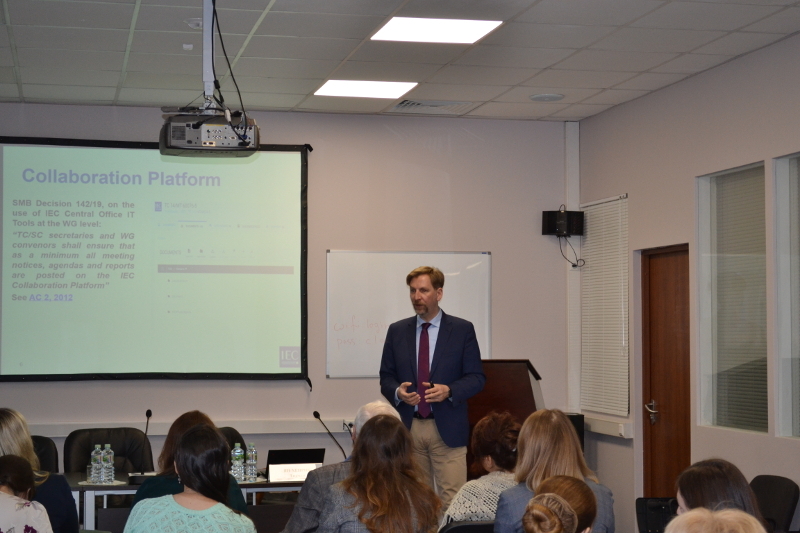 Head of the IEC Academy elaborated on an official web site of IEC and peculiarities of work with it, IEC Online Tools such as «My IEC», «My NewDocs» and «TC/SC Dashboard». Jan-Henrik Tiedemann also noted Systems of Public Commenting and Voting on IEC documents. Participants discussed peculiarities of work with Platform «Collaboration Tools» that joined all experts working in IEC system. Parties expressed their interest in strengthening of cooperation.